Srebrenica is the name of a town synonymous with the conflict that devastated the former Yugoslavia in the 1990s. It is a name that conjures up images of families being torn apart, of people forced onto buses with an unknown destination, of terrified, blindfolded men being led to their deaths, killed methodically solely on the basis of their identity; and of the grieving mothers, wives, sisters and daughters left behind. But alongside the deep and lasting injury inflicted on the Bosnian Muslims of Srebrenica, the town is now emblematic of the resolve of the international community to call the killings committed there by their proper name: genocide. Srebrenica is a solemn warning sounded by the Tribunal that those who commit this inhumane crime will not escape justice. The ICTY was the first international criminal tribunal to enter convictions for genocide in Europe. In April 2004, in the case of Radislav Krstić, the Appeals Chamber determined that genocide was committed in Srebrenica in 1995, through the execution of more than 7,000 Bosnian Muslim men and boys following the take-over of the town by Bosnian Serb forces. Several other completed ICTY cases relating to the Srebrenica events have ensured that the genocide has been well documented and, in the words of ICTY President Theodor Meron, “consigned to infamy”. Many of the over 1,000 testimonies before the ICTY that involved the Srebrenica events came from survivors who found the courage to come forward and testify. As the 20th anniversary of those events approaches, the ICTY remembers and pays tribute to those without whom there could have been no justice. The Tribunal salutes their legacy for the former Yugoslavia and for all humanity. Witnesses are at the heart of the Tribunal’s work. To date, more than 1,000 testimonies have been presented to ICTY Judges in cases related to the Srebrenica events. Many were from victims, who courageously related details of how they had been beaten, tortured, raped, sexually assaulted, or forced to watch the murder of their family members during mass executions. Some testified publicly while others chose to have their identity withheld from the public, for personal reasons or for their own safety. The testimonies below are accounts given by three Srebrenica citizens who came forward to tell their stories. They represent a small sample of all the testimonies presented before the Tribunal but tell of the shared horror that victims and survivors lived through during the summer of 1995. Witness DD testified with her name and identity withheld from the public. A Bosnian Muslim woman, she told Judges how she lost her husband and two sons in the July 1995 Srebrenica genocide. 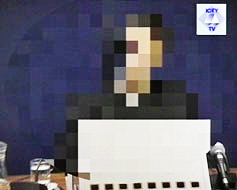 She testified on 26 July 2000 in the case against Radislav Krstić. Mirsada Malagić, a Bosnian Muslim woman, speaking about the women whose husbands were killed in the Srebrenica massacres in 1995. 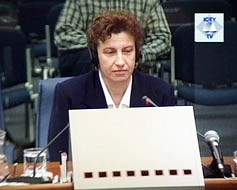 She testified on 3 and 4 April 2000 in the case against Radislav Krstić and on 16 February 2011 in the case against Zdravko Tolimir. Witness O testified with his name and identity withheld from the public. A 17-year old boy at the time of the genocide, he was held captive for four days after attempting to escape the Srebrenica area. He was taken with a group to a field to be summarily executed, but miraculously survived. He testified on 13 April 2000 in the case against Radislav Krstić. The ICTY was established in 1993 to try those most responsible for serious violations of international humanitarian law that occurred in the former Yugoslavia in the 1990s. The nature of the crimes that took place in the summer of 1995 in Srebrenica, a small mountain town in eastern Bosnia and Herzegovina (BiH), has been established beyond a reasonable doubt. Evidence accepted by ICTY trial chambers established the existence of a criminal plan to create an ethnically homogeneous region in this part of BiH. From June 1992, Bosnian Serb forces besieged Srebrenica while Bosnian Muslim forces operating from inside the town attacked the surrounding Serb villages. The Tribunal found that between 1992 and 1993, a number of Serbs were captured and confined by Bosnian Muslim forces. They were subjected to inhumane treatment and, in some instances, were beaten to death or killed. In 1993, the UN Security Council declared Srebrenica a “safe area”, i.e., a demilitarized zone under the protection of UNPROFOR. In July 1995, Srebrenica was overrun by Bosnian Serb forces. In the days that followed, members of the Bosnian Serb army and police implemented a plan to kill the Bosnian Muslim men and boys above the age of 16 and expel the women, children and elderly from the town. After the completion of the mass killings in July 1995, further cover-up operations took place, including re-burials in secondary mass graves. The Tribunal found that the mass executions of Bosnian Muslim men and boys from Srebrenica constituted the crime of genocide. Out of 20 persons indicted for the Srebrenica events of July 1995, final judgements have been issued against 15 accused to date; one died before the completion of his trial and proceedings are ongoing for four others. All but one of these 15 individuals were convicted of most of the crimes they were indicted for. The charges included genocide, murder, extermination and persecutions. Three of those accused pleaded guilty to some of these crimes. They further clarified events by testifying against their co-perpetrators. The brief summaries below concern Srebrenica-related cases that led to final judgements about the 1995 events. They do not include the case of the former Serbian President Slobodan Milošević, which was terminated following his death. Ongoing cases that include charges relating to Srebrenica - against Radovan Karadžić, Ratko Mladić, and Jovica Stanišić and Franko Simatović - are also not included here. The trial of Radislav Krstić, a Bosnian Serb army general, made history as the first judgement of the Tribunal affirming that criminal acts committed in Srebrenica in 1995 constituted inter alia the crime of genocide. The Trial Chamber found that Bosnian Serb forces subjected the Bosnian Muslim refugees taking shelter in and around the UN compound at Potočari to a terror campaign of threats, insults, looting, burning of nearby houses, beatings, rapes and murders. Thousands of Bosnian Muslim men and boys were separated from their families and ultimately executed by Bosnian Serb forces at various locations. The Trial Chamber thus found Krstić guilty of genocide, crimes against humanity and violations of the law and customs of war. The Appeals Chamber partly reversed that Judgement in April 2004. The Appeals Chamber affirmed the Trial Chamber’s finding that “genocide was committed in Srebrenica”, but held that Krstić personally lacked genocidal intent and was thus guilty of “aiding and abetting genocide”, rather than directly perpetrating genocidal acts himself. The Appeals Chamber consequently sentenced him to 35 years’ imprisonment. In the largest case - in terms of the number of accused - heard by the Tribunal, seven former high-ranking military and police Bosnian Serb officers were convicted for crimes following the take-over of the protected areas of Srebrenica and Žepa. The case of Vujadin Popović and others was the third case to establish that the crime of genocide was committed in Srebrenica. The ICTY found that two joint criminal enterprises (JCE) existed in Eastern Bosnia in July 1995: the JCE to murder the able-bodied Bosnian Muslim men from Srebrenica and the JCE to forcibly remove the Bosnian Muslim population from Srebrenica and Žepa. More specifically, the Trial Chamber found that Vujadin Popović “knew that the intent was not just to kill those who had fallen into the hands of the Bosnian Serb Forces, but to kill as many as possible with the aim of destroying the group. Popović’s ensuing robust participation in all aspects of the plan demonstrates that he not only knew of this intent to destroy, he also shared it.” The Appeals Chamber affirmed that determination. Vujadin Popović, like Ljubiša Beara, was sentenced to life imprisonment for genocide, conspiracy to commit genocide, crimes against humanity and violations of the laws or customs of war. The Judges further found that Tolimir had knowledge of the genocidal intent of the other members of the joint criminal enterprise to murder Srebrenica’s male population, including the intent of his subordinate security and intelligence organs involved in carrying out the murder operation. In addition, the Tribunal established that Tolimir not only had knowledge of the genocidal intent of others, but also possessed it himself. Tolimir was found guilty of genocide, conspiracy to commit genocide, crimes against humanity, and violations of the laws or customs of war. He was the third ICTY accused to be sentenced to life imprisonment for Srebrenica-related crimes. This was also the fourth ICTY case to establish that genocide was committed in Srebrenica. Vidoje Blagojević, Dragan Jokić, Momir Nikolić and Dragan Obrenović – all officers of the Bosnian Serb army - were charged with crimes related to the atrocities committed in Srebrenica. Nikolić and Obrenović were separated from the proceedings after pleading guilty (see below). They later testified for the Prosecution against Blagojević and Jokić. The Trial Chamber found that there had been “acts committed by Colonel Blagojević or members of the Bratunac Brigade which provided practical assistance to the murder operation that resulted in the death of more than 7,000 Bosnian Muslim men and boys.” Blagojević was found guilty of aiding and abetting the persecutions of the Bosnian Muslim population in the Srebrenica enclave through underlying acts of murder, cruel and inhumane treatment, terrorising the civilian population and forcible transfer as crimes against humanity. He was also convicted of aiding and abetting the murder of Bosnian Muslim men in nearby Bratunac as a crime against humanity and as violation of the laws or customs of war. It was also found that Dragan Jokić aided and abetted the murders of Bosnian Muslim men committed at Orahovac, Pilica/Branjevo military farm and Kozluk by providing machinery equipment such as loaders and excavators, as well as personnel to dig mass graves to bury the bodies of the executed men. By aiding and abetting murder as a crime against humanity, he also participated in a campaign of persecution against the Bosnian Muslim population. Vidoje Blagojević and Dragan Jokić were sentenced to 15 and 9 years’ imprisonment respectively for crimes against humanity and war crimes. Dražen Erdemović was a soldier in the 10th Sabotage detachment of the Bosnian Serb Army in July 1995. He was found to have participated in the executions of hundreds of unarmed Bosnian Muslim men and boys from the Srebrenica enclave. Erdemović was the first person to enter a guilty plea at the Tribunal. He later testified as a witness in separate trials providing significant and detailed evidence about the crimes committed in the Srebrenica area. Erdemović read his statement of guilt before ICTY Judges on 29 Nov. 1996. He was sentenced to 5 years’ imprisonment. Momir Nikolić was an Assistant Commander for Security and Intelligence in the Bosnian Serb army. Due to his position, he was at the centre of the crimes that took place following the fall of Srebrenica. It was found that Nikolić did not raise any objections when informed of the plan to deport the Muslim women, children and elderly and to separate, detain and ultimately kill the Muslim men. It was also found that Nikolić did nothing to stop the beatings, humiliation and the killing of thousands of Bosnian Muslim men, and personally co-ordinated the exhumation and re-burial of victims’ bodies. Momir Nikolić read his statement of guilt before ICTY Judges on 29 October 2003. He testified in other proceedings before the Tribunal, including the trial of his two co-accused Blagojević and Jokić. Nikolić was sentenced to 20 years’ imprisonment. Dragan Obrenović, was a senior officer and commander within the Bosnian Serb army in July 1995. Following his guilty plea, he was convicted for persecutions carried out through the murder of hundreds of Bosnian Muslim civilians, committed in and around Srebrenica. Obrenović read his statement of guilt before ICTY Judges on 30 Oct. 2003, Following the terms of his plea agreement, he testified in other proceedings before the Tribunal, including those trials related to Srebrenica. Obrenović was sentenced to 17 years’ imprisonment. Momčilo Perišić was the Chief of the General Staff of the Yugoslav Army. His indictment included crimes committed in Srebrenica, Sarajevo and Zagreb. The Trial Chamber found Perišić guilty for the majority of the crimes alleged in the indictment and sentenced him to 27 years’ imprisonment. Later, the Appeals Chamber decided that the evidence did not prove beyond a reasonable doubt that he specifically directed assistance towards the crimes committed by the Bosnian Serb army in Srebrenica. Perišić was acquitted in 2013. This has been the first and only acquittal handed down by the Tribunal in relation to crimes committed in Srebrenica during the summer of 1995. Background image: Srebrenica-Potočari Memorial. ICTY/Iain Reid.